LG Electronics is looking to recover its level of performance by ‘Super Premium Phone’, which will be newly released in second half of 2015, and ‘Popularization of OLED (OLED 176) TV. It is taking an approach of focusing on major industries and new products to turn around rather than looking for special temporary measures. “We are challenging ourselves to improve our performance level in second half by strengthening our marketing and releasing new products per business. We are definitely holding separate briefing sessions and examinations per business, but we are not yet considering purchasing treasury stock or supporting stock price.” A high-ranking official affiliated with LG Electronics said on the 19th that LG Electronics is strengthening its previous businesses. The reason why LG Electronics is focusing on major industries rather than preparing for special measures is that it believes that temporary measures cannot guarantee improvement of performance. It also cannot make big businesses within short-period of time, and it is hard to see results through a special business restructure. LG Electronics is making a winning move in second half of 2015 through super premium phone and derivative model of G4 in mobile departments. Because sales of strategic phone G4 in first half of 2015 fell short of expectation, LG Electronics is looking to expand its share in the market through premium phones that have bigger screens and many high-tech functions. It is also heard that it is preparing many modified models of G4. 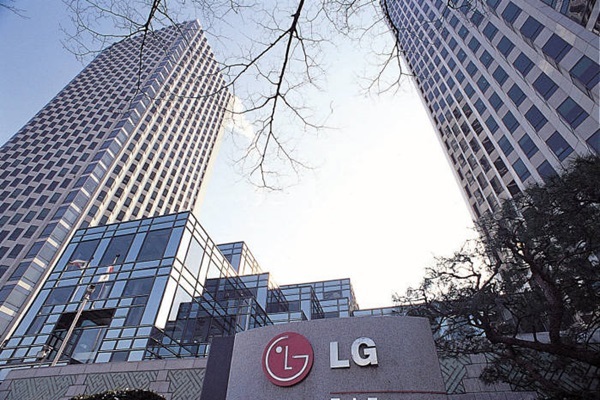 President Cho Jun Ho of LG Electronics said that it is currently looking for appropriate time to release its new strategic phone in second half of 2015. Industry world is seeing that instead of going head to head against Samsung Electronics’ Galaxy Note 5 and Apple’s IPhone 6S, LG Electronics is adjusting its release date and aiming for niche markets. To overcome its extreme slump, LG Electronics proposed revised cellphone distribution structure improvement law 410 to government. TV Business Department is focusing on strategy that will popularize premium products. It is attempting to increase sales through reduction of OLED 176 TV’s price, expansion of products, and reduction of large-screen UHD TV’s price. This is a strategy that will increase number of sales by aggressively reducing expensive products’ prices, and this is a similar strategy that Samsung Electronics used recently to reduce SUHD TV’s price up to 50% in Korea and foreign countries. In home appliances, LG Electronics is focusing on corresponding to strategic products such as new washing machine, Kimchi refrigerator, and etc. in second half. Its new Twin-Wash Washing Machine that it showed to public in early 2015 is getting released within this month. It is also examining release of Kimchi refrigerators early and aggressive sales promotion to recover slump in sales of air conditioners. It is looking to expand correspondence in Korea and foreign countries by strengthening expensive build-in home appliances one after the other. Although it is making loss in vehicle components (VC), LG Electronics’ expectation in its growth hereafter is high and it will continue to expand its investment. Instead of securing profitability in new growth areas such as energy solution in short-term, it is going to focus more on preparing growth basis in medium and long-term. LG Electronics’ stock is at the lowest in last 12 years as it recently fell to 36 dollars (42,000 KRW). There are a lot of evaluations that LG Electronics lacks clear breakthroughs due to low growth basis for major industries. Home Entertainment Business Department’s sale continues to decrease, and Mobile Communication Business Department is also suffering from slow growth and deepened competition. Although its Home and Appliances Department is cruising along, its business profit ratio is slightly over 5%. Sales and level of contribution in profit for newly established VC business are still insignificant. “It is a sure thing that Vice-Chairman Ku Bon Jun of LG Electronics is very concerned. If it is difficult to see results through temporary measures, it needs to focus on medium and long-term strategies such as strategically promoting new growth industries and enhancing major industries.” A person affiliated with financial world gave words of advice to LG Electronics.